For the last several days we’ve been keeping a close eye on Heart’s social media pages, as they’ve been dropping all sorts of subliminal hints about the band via photos. Add to that, a huge countdown clock at the Heart website set to expire this morning, so fans knew it was going to be good news and I think they exceeded expectations! The massive tour was announced this morning with northwest dates in Tacoma and Portland. 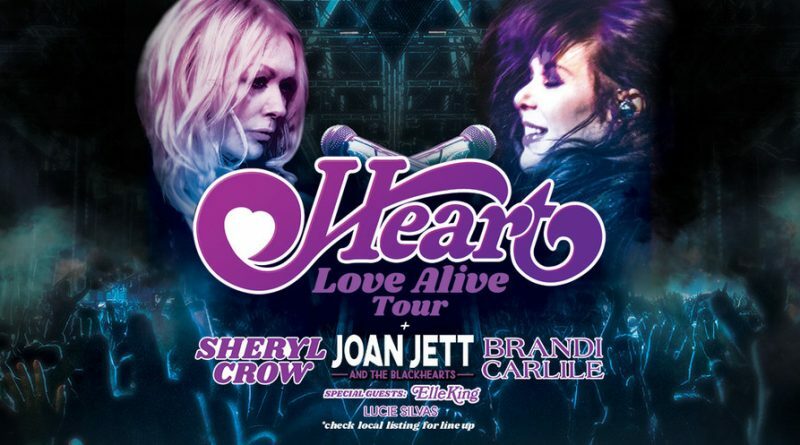 HEART will return to the road in 2019 for the first time in three years with their massive “Love Alive” cross-country summer tour. Produced by Live Nation, the expansive 39-city outing by the trend-setting, multiple-platinum Rock & Roll Hall of Fame legends kicks off Tuesday, July 9 at the Hollywood Casino Amphitheatre in St. Louis, MO and will make stops in Tacoma, Portland, Chicago, Atlanta, Houston, Denver and more, before wrapping September 9 at the famous Hollywood Bowl in Los Angeles, CA. Tickets go on sale to the general public beginning Friday, February 15 at 10:00 AM local time at LiveNation.com. * Citi is the official presale credit card for the tour. As such, Citi cardmembers will have access to purchase presale tickets beginning Wednesday, February 13 at 10:00 AM local time until Thursday, February 14 at 10:00 PM local time through Citi’s Private Pass program. For complete presale details visit www.citiprivatepass.com. *Toronto on sale starting at 9:00 AM. local time, St. Louis on sale starting at 11:00 AM local time. 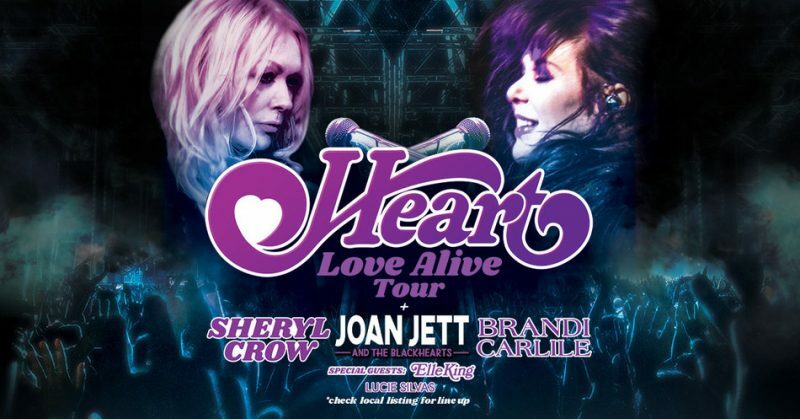 For tickets and more tour information, check out the Heart website HERE.